This image from the 250 has three distinct photos that go with it: aerial view, hypostyle hall, and a temple plan. So I figured the easiest way to tackle this behemoth piece is to break it down according to the images provided by College Board. 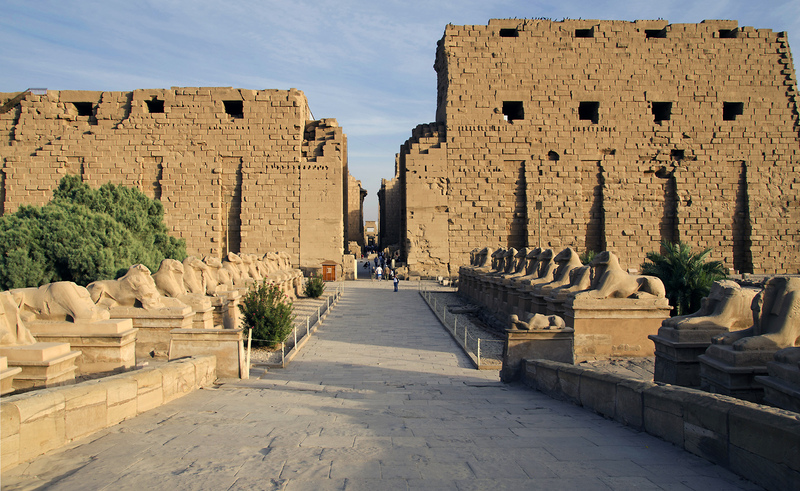 FUN FACT: The temple complex at Karnak is one of the largest religious complexes in the world! The first and most striking thing you see on the aerial view are the pylon gates (seen above). This gateway leads to the first court, an open outdoor space, which then confronts you with the second (and taller) pylon gate which brings you to the hypostyle hall (this is discussed in the next section of the post). Behind the hypostyle hall are various temples and sacred spaces for private ceremonies. At the very heart of the temple complex was a sanctuary for the statue of the god Amun-Ra and where his daily rituals took place. Most of these sacred areas would have been open only to temple priests (so this is similar to the function of the White Temple and its zigguart). Although we do not know many of these secret rituals, on special occasions the statue of the god would leave the shrine and travel to other important temples, Deir el-Bahri being one of them (where the mortuary temple of Hatshepsut is located). 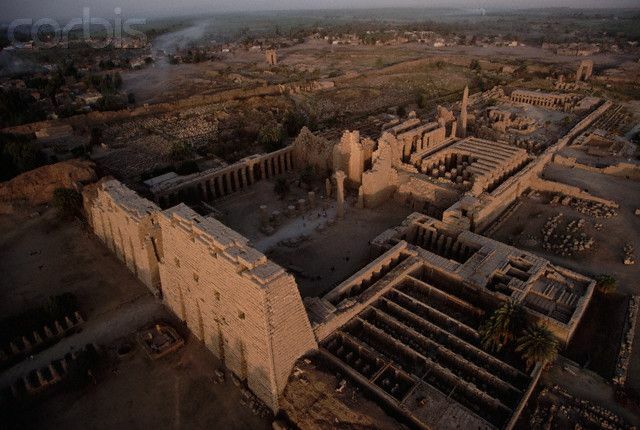 Certainly the pharaohs, as the link between the gods and mankind, would want to connect their personal sacred sites with “The Most Select of Places” (Ipet-isut), as Karnak was known. This is a vocabulary word that will appear again when we discuss architecture throughout art history. A hypostyle hall is essentially a hall with many columns (think like a stone forest). The hall at Karnak has 134 massive sandstone columns with the center columns 69 feet tall (you don’t need to memorize these numbers but it is impressive!) Like most things of antiquity, these columns would have been brightly painted – what a different feeling that would have been right!? This particular hall also has a clerestory (another super useful vocab word). A clerestory is a set of upper story windows that allow light in; extremely useful before electric light. A clerestory can be built if you have the center hall (a.k.a. the nave) taller than the side aisles, allowing the center hall to have a row of unobstructed windows along the side. See the image below of a medieval Gothic example of a clerestory from Cologne Cathedral. Next Time: #21 Mortuary temple of Hatshepsut. Near Luxor, Egypt. New Kingdom, 18th Dynasty. c. 1473-1459 BCE. Sandstone, partially carved into a rock cliff, and red granite.